Our Oil & Gas capital raising experience spans the breadth of the Upstream and Downstream sector withparticular emphasis on the early stage E&P and Oilfield services domain. 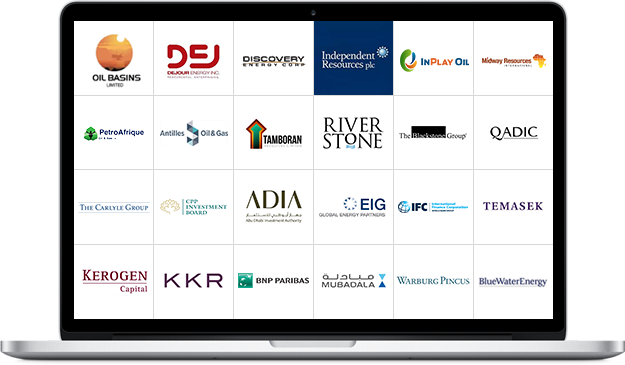 Previous engagements have focused largely on the North American and West African exploration regions, capitalising on the key relationships we hold within the Private Equity, Governmental and Professionals services sphere. West African focused E&P bidding for Deepwater Producing Assets in Nigeria. US E&P developing unconventional Oil & Gas resources. Canadian Oil & Gas developer building a large, low-decline,liquids-focused asset base. ASX listed international explorer developing acreage in the Caribbean. North American player developing high leverage undervalued assets in Australia. TSX listed producer focusing on British Columbia and Colorado. Privately held Kenyan & Nigerian E&P developing an African portfolio.